Complete this application accurately. The information provided here will be used by Community Kitchen staff to better understand each potential trainee's situation and needs. All information will remain confidential. Applications must include all documents (Police Report, Photo ID) and be properly filled out and completed. All instruction for this program is conducted in English. Are you able to read, write and communicate in English proficiently? This program is 10 weeks long and requires attendance from 8:00AM- 3:00PM, Monday through Friday. Are you able to adhere to this schedule for the duration of the program? Can you remain drug free and sober for the length of the 10 week training program? Are you at risk of being homeless? Are you the head of your household? If yes, how do you plan to maintain stable childcare during the program? Do you have any prior food experience (e.g. employment, volunteer) or education? 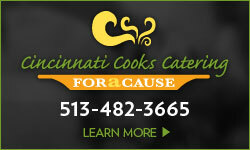 How did you hear about the Cincinnati Cooks program? 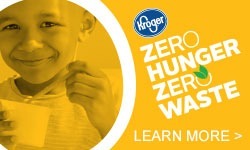 (Note: Food experience is not a requirement for admission into the Cincinnati Cooks program). 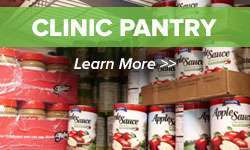 Do you currently have a Primary Care Provider (i.e. doctor)? Do you have any regular ongoing medical or behavioral health appointments? Do you have any medical conditions, handicaps, or impairments that make certain work or physical activities difficult for you? Are you currently taking any prescription medication? Do you have any side effects, such as drowsiness, impaired motor skills, or impaired judgment when taking these medications? Are you currently or have ever been in any type of drug or alcohol rehabilitation program? Have you been diagnosed with Hepatitis A? Do you have a Case Worker/ Case Manger? Do you currently have a source of income? Are you currently receiving any of the following benefits or services? If yes, how long have you been receiving these benefits? Do you have a probation or parole officer? Do you have any court cases or legal issues pending? Please call 513-482-7298 with questions. I certify that my answers are true and complete to the best of my knowledge. If this application leads to enrollment in the program, I understand that false or misleading information in my application or during my interview may result in my release from the program. If this application leads to enrollment in the program, I understand that I may be asked to take and pass a physical exam, drug and alcohol screening, have a TB test done, and/or have a doctor's release to participate.